I don't think anyone can argue that Louis Armstrong is the most legendary jazz musician ever. To even further compliment him, Szwed said that Armstrong is arguably the most important musician that the United States has ever produced (2000, p. 109). Armstrong's magnetic personality and natural born talent were the reasons Armstrong made his name in jazz music. Armstrong often went by the nickname Satchmo or Satch, which is short for Satchelmouth. That name stuck with him when in 1932, Melody Maker magazine editor Percy Brooks greeted Armstrong in London with "Hello, Satchmo!" shortening Satchelmouth, and it stuck (Wikipedia). This nickname became a trademark of Armstrong because of his large grin which he is still known for today. ChildhoodArmstrong's was born to an out-of-wedlock mother on August 4, 1901 in New Orleans, Louisiana (Wikipedia). Up to the 1980's no one knew the exact date of Armstrong's birth, it was discovered through baptismal records (Wikipedia). WriteWork contributors. "The life of Louis Armstrong" WriteWork.com. WriteWork.com, 09 November, 2008. Web. 19 Apr. 2019. 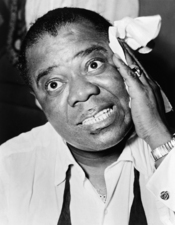 This essay descibes the amazing life of Satchmo, Louis Armstrong, the famous jazz musician. 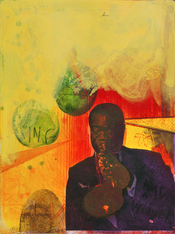 Satchmo, as the king of jazz, profoundly plays a major influence on jazz music. The American music of twentieth century. This essay is about the life of Bessie Smith.